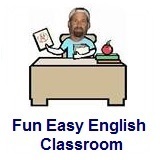 ﻿ Fun Easy English - new classroom free online classes english language lessons speaking listening writing reading october 2. Today in the classroom you are going to learn some slang beginning with the letter Q. 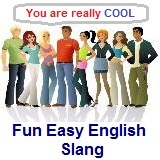 Today learn slang beginning with the letter Q.
quarterback lead Who is going to quarterback the meeting? quick buck easy money I need to make a quick buck. Friend: Hey dude, can you give me a buck?